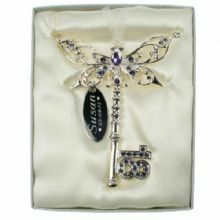 Personalise this beautiful Lilac 18th Birthday key. 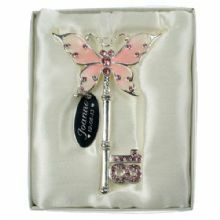 Personalise this beautiful Pink 18th Birthday key. 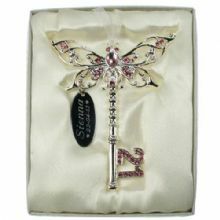 Personalise this beautiful Pink 21st Birthday key. 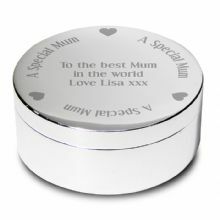 Personalise this Special Mum Round Trinket. 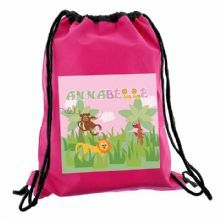 Personalise this Girls Animal Alphabet Swim Bag. 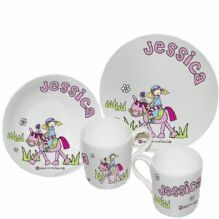 Bang on the Door Pony Girl design bone china breakfast set. 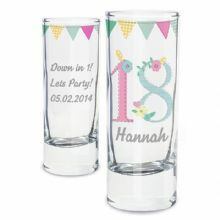 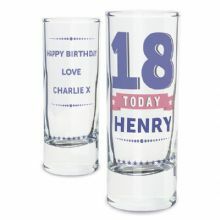 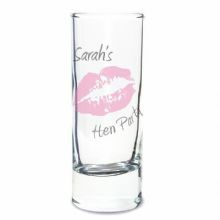 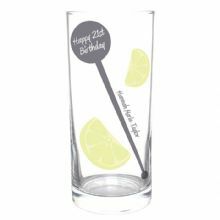 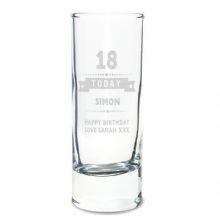 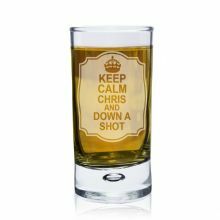 Personalise this Lovely Birthday Craft Shot Glass. 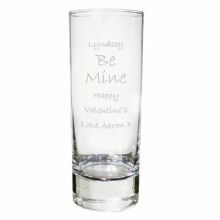 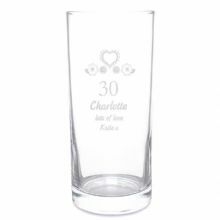 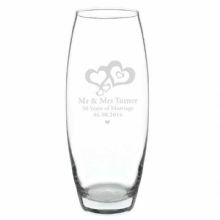 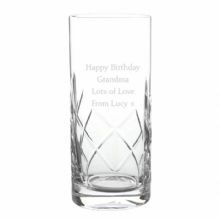 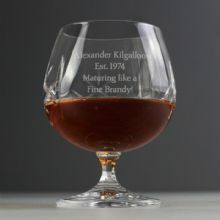 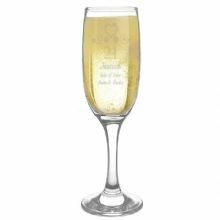 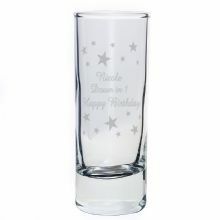 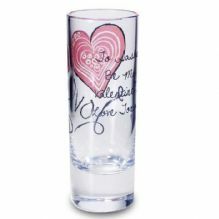 Personalise this lovely Brandy glass with any message up to 4 lines. 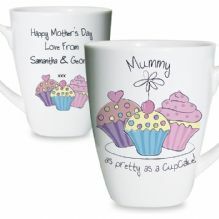 This gorgeous bone china mug with cute cupcake design makes a perfect gift for any lady in your life. 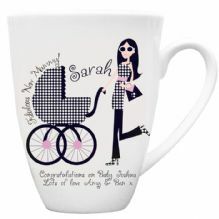 This mug is the lovely gift for anyone you know whose expecting. 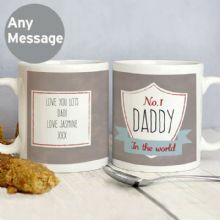 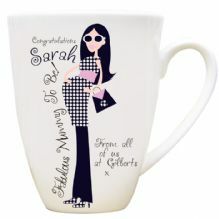 This mug is the perfect gift for any fabulous new mummy's!. 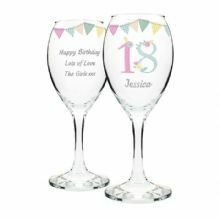 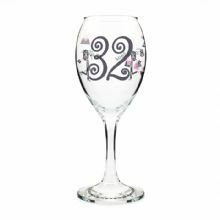 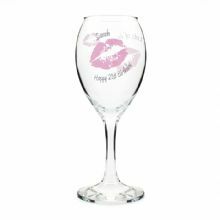 This wine glass is a fabulous way to celebrate any birthday with pizazz. 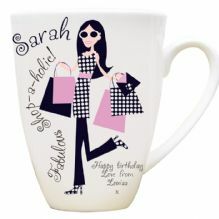 This mug is the perfect gift for any serious shopaholics you may know. 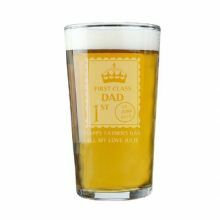 Personalise this First Class Pint Glass with any name or role. 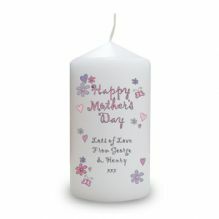 Personalise this pretty Flowers & Butterflies Candle to make a unique gift. 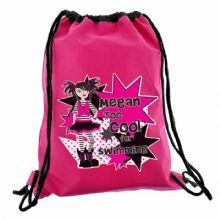 Personalise this school or nursery pink lunch bag. 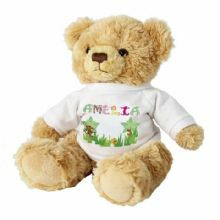 This cute and fluffy teddy, whith t shirt featuring our animal design, makes a great gift. 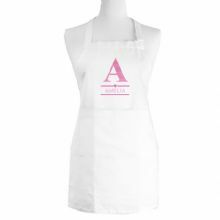 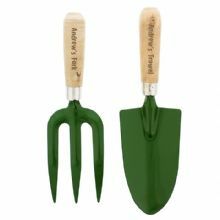 Personalise this apron with an initial and then a name. 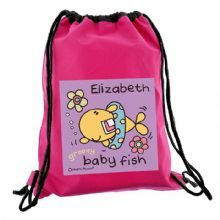 Personalise this Girls Too Cool Swim Bag. 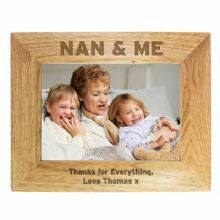 Personalise this wooden photo frame with 2 lines of text. 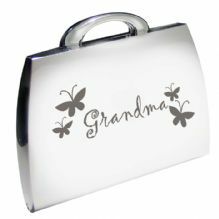 This silver finish handbag compact mirror features a butterfly motif and the wording 'Grandma' as standard text. 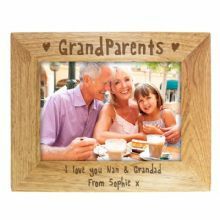 ***** SORRY TEMPORARILY OUT OF STOCK ***** Personalise this 5x7 Grandparent Frame with any message over 2 lines. 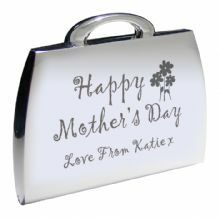 Silver coloured handbag compact mirror featuring a flowers motif can be personalised with a personal message. 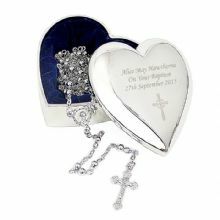 This two piece heart trinket features a flowers motif and can be personalised. 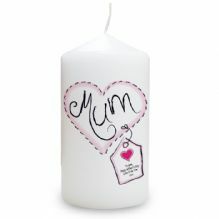 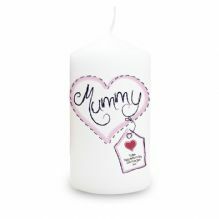 This gorgeous heart stitch design candle makes a perfect gift for Mother's Day. 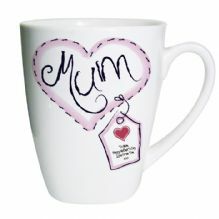 This gorgeous bone china Heart Stitch mug makes a great gift for a special mum on Mother's Day. 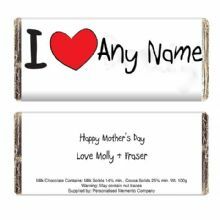 Personalise this "I Heart" milk chocolate bar. 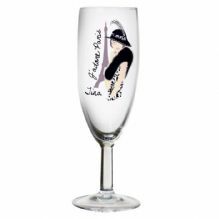 This gorgeous cocktail glass makes the perfect gift for any party girl. 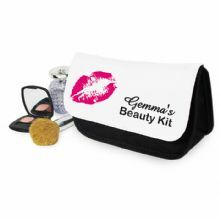 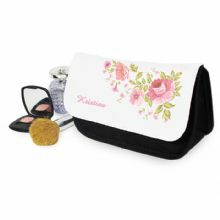 Our Lips makeup bag is a wonderfully unique gift for her. 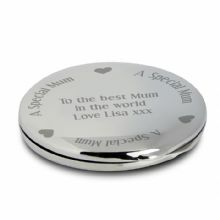 Personalise this Special Mum Compact Mirror. Personalise the front of this No.1 Shield Mug. 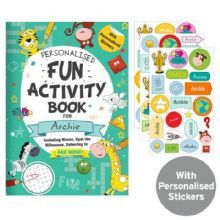 Personalise This Activity Book with Stickers. 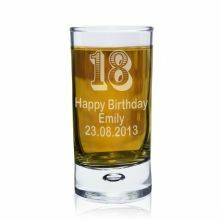 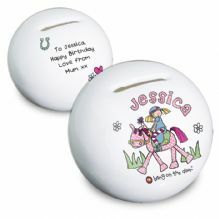 Personalise this Birthday Bullet Vase with an age of up to 2 digits and a message over 4 lines of 20 characters. 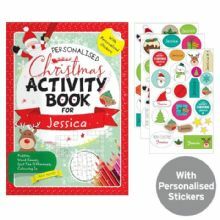 Personalise this activity book with a name and a message. Personalise this Christmas Vase over 4 lines of 20 characters. 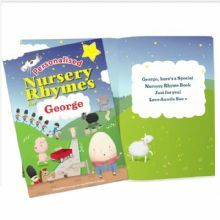 Personalise This Beautifully Illustrated Nursery Rhyme Book. 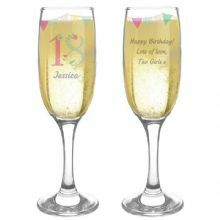 Personalise this hotel/spa style pair of open toe slippers. 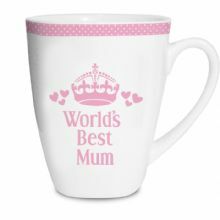 Personalise this Worlds Best Pink Latte with any Role. 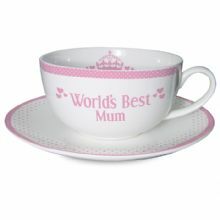 Personalise this Worlds Best Female Teacup and Saucer. 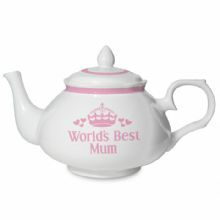 Personalise this Worlds Best Female Tea Pot. 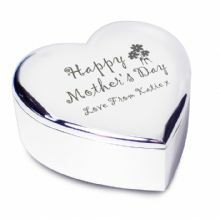 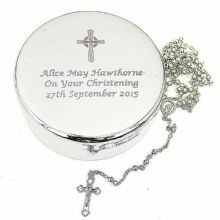 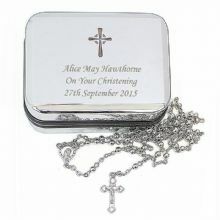 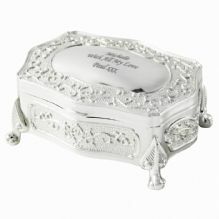 This silver finish beautiful trinket box can be personalised with any message over 3 lines. 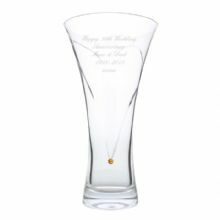 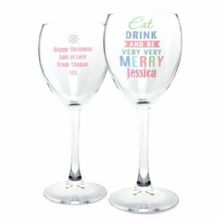 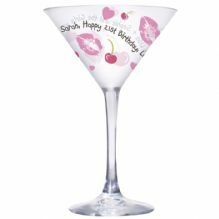 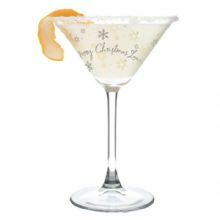 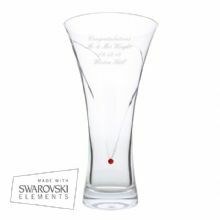 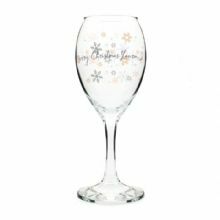 This Personalised Snowflake Cocktail Glass is a pefect gift for celebrating on Christmas day. 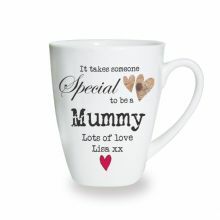 Personalise this Someone Special latte with a role or name up to 12 characters. 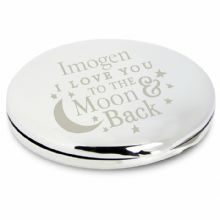 Personalise this round Compact Mirror with a Name up to 12 characters. 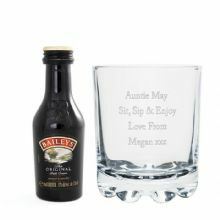 Personalise this Stern Glass with Baileys Original Miniature makes for an original gift.